Choosing your next new car in Salem might seem like an overwhelming task when there are so many options. 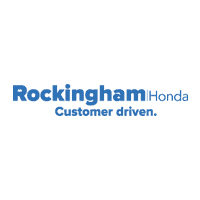 If you decide on the reliable and fuel-efficient Honda Civic at Rockingham Honda, you then get to choose whether you want the sporty Honda Civic Coupe, the classic Honda Civic Sedan, or the roomy Honda Civic Hatchback. Follow our guide below that compares each Honda Civic body style in terms of price, performance, and space, to figure out which one will fit your needs and preferences. Engine power and fuel efficiency specs differ slightly between the new Honda Civic Sedan, new Honda Civic Hatchback, and new Honda Civic Coupe, not only due to the engine options themselves, but also due to the varying weight and aerodynamic designs of each vehicle. Take a look at the new Honda Civic mpg ratings and specs below to find out which style brings you the performance you want for Paramus roads. Whether seeking a short drive from Lawrence to Methuen or if you’re looking for plenty of passenger space for trips into Salem, there’s a Honda Civic configuration with the configuration and color you want, including a black Honda Civic. Contact our Salem car dealership team today to find out more about Civic MPG ratings and Civic cargo space.